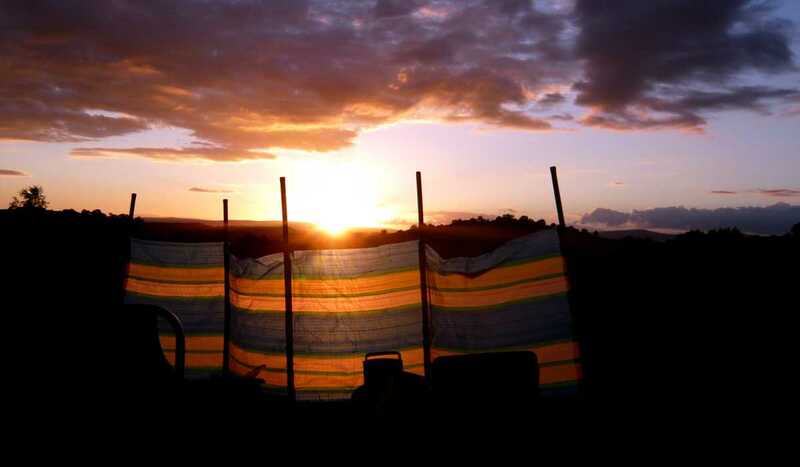 Treacle Valley | Camping | Campsite near Torquay, Torbay, Devon. Treacle Valley, (formally Manor Farm), is an easy going, traditional, family run campsite in the tiny village of Daccombe close to Torquay. Our family have had the pleasure of carrying on the 40 year tradition of a campsite here in the valley since 2006 when the working farm and surrounding woodland came up for sale. The hidden and picturesque valley village of Daccombe (a secret to even some Torquinians) won our family’s hearts over generations. Grandchildren were told legends of the valley and we had all either worked here on the land, wandered through its woods and lanes or stayed here as 4th generation Scouts or simply as visitors to the Torquay area. Now it is our turn to champion its many wonders. A beautiful steep sided valley with 500 year old oak trees and uninterrupted views of Dartmoor’s National Park. The perfect location to explore literally dozens of beaches over the other side of the hill and the great number of local attractions, nightlife and shopping that Torbay has always been proud to offer. 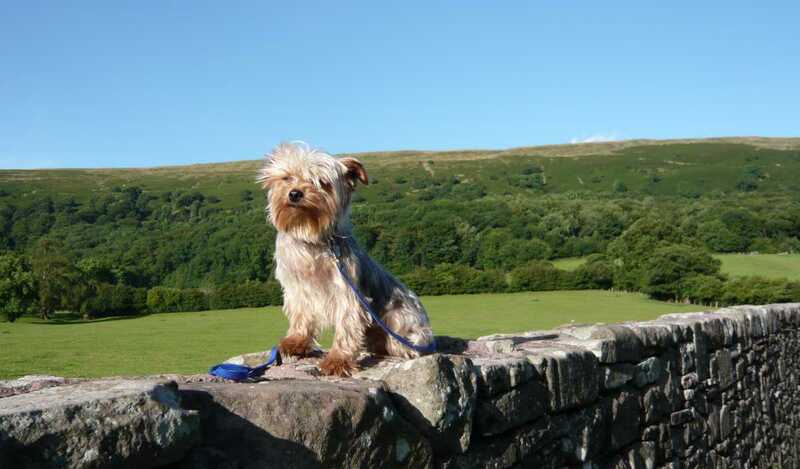 The surrounding countryside, beaches and southwest coast path are perfect for long walks. (Dog friendly beaches can be found at www.torbay.gov.uk ). Treacle Valley campsite (formally known as Manor Farm campsite) sits within 200 acres of farmland and woodlands in the village of Daccombe. 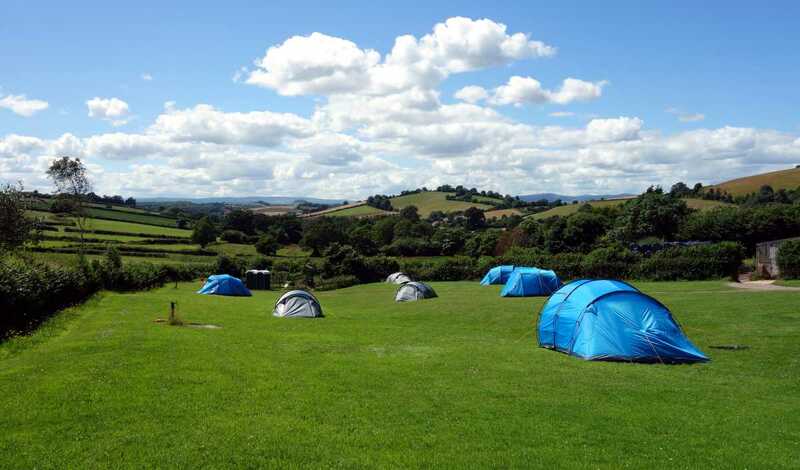 The views of Treacle Valley campsite stretch west, right up to Haytor in Dartmoor national park. The curious legend of a treacle mine in the village of Daccombe goes so far back in time no-one can remember how it all began. My father’s father was told it as a boy, as was I, and all our future generations will be teased with the fun myth too. Almost as old as the legend is the name Daccombe Manor Farm campsite. Although this has served us well over the years, we thought, that due to the countless other Manor Farms in Britain we would try to capture the spirit of fun in our very own legend. Some bright spark suggested Treacle Valley and the rest is history. Along with the name change we also hope to improve our facilities and the surroundings over the next few years. Even a classic campsite is just like an old camper van and needs dusting off, cleaning up and rejuvenating every season. Last year we created our new look shower block and toilets and this year we have a big tree planting project and a new kids play area. Running through and around the edges of the farm are streams and explorable woodlands and although accessible to all our campers, people hardly seem to notice. We will be working hard to make them part of the Treacle Valley holiday. We’re open from Easter weekend through to the 30th of September. There is a small shop with basic supplies for campers, and some information on things to do and places to go. Free WiFi is available (WiFi signal near shop). We have a large toilet and shower block and hot showers are free. We have a small coin operated laundry room with a washing machine and dryer. An undercover washing up area with hot water is on site. Fires are allowed on the campsite in designated areas, or they must be off the ground. We have some home made fire grates available on site, they can be found by the shop. Barbecues can be used on the campsite if they are kept off the ground. We welcome dogs in Treacle Valley. 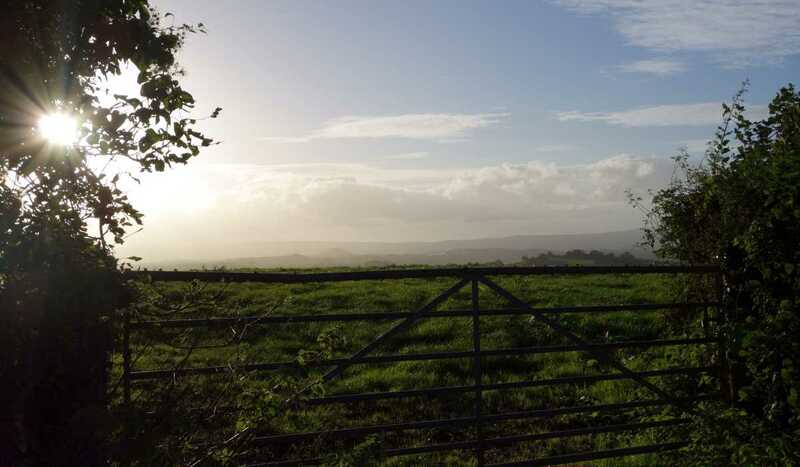 Please be aware that Treacle Valley campsite is situated within a working farm with livestock. Dogs must be kept on leads and under control at all times.